Visit the official website and click on the link 'Result'. Download and take printout of the result for further reference. Announcement: The PU CET 2019 Result has been declared on 14th May 2019. Candidates can make use of link provided below to check their result. Basis: The candidates will be given admissions to B.Sc on the basis of the PU-CET (U.G. & BHMS) result. Credentials: Candidates need to submit their Roll number and select subject combination to view their PU CET 2019 Result. Note: No separate scorecards will be sent to candidates. 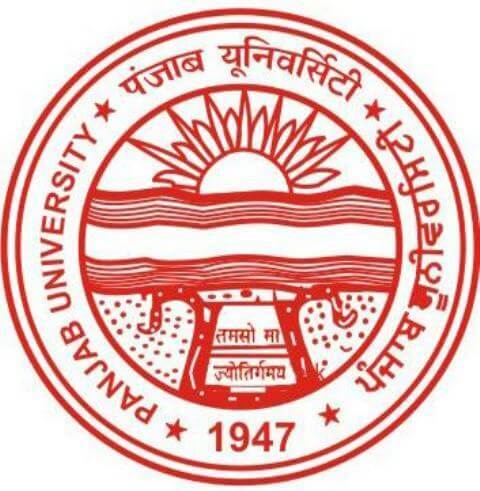 The PU CET 2019 result will strictly be based on the candidate’s performance in the PU CET 2019 exam. The PU CET 2019 merit list will be displayed. The reservation scheme for the courses will vary based on the program. The detailed reservation criteria have been given below. 1 seat is reserved for the student of foreign origin nominated by Government of India. 1 seat is reserved for a student from the States and Union Territories lacking facilities in this field and repatriates from Myanmar (Burma), Sri Lanka etc. 2 seats are reserved for the students from rural area category and 1 seat for Border Area student. 1 seat is reserved for a student suffering from Cancer/AIDS/ Thalassemia. Additional seats will be created for children of officers who have served during Kargil war. The merit list of the candidates will be created following the below guidelines. The weight of the written exam is 75% and the 12th board scores are 25%. The PU CET exam paper and the answer key will be published online post exams. In case there is an error in that, the students need to write an official letter which must reach the office within 2 days of the answer key get published. Their valuation of the answer sheet can take place, the candidates have to send a demand draft to the office. This must be done within 10 days of the results being published. When are we going to get are results of PU CET exam 2017? PU CET result will be declared in the month of June, 2017. The admission to Bsc will be based on the PU CET (U.G. & BHMS) result. The candidates who have to appear for a retest in the class 12 examination are not eligible for admission to the course. The PU CET 2017 result card will be available online. The candidate can download it from the official website. No separate score cards will be sent to candidates. The PU CET result will be based on the performance in the PU CET 2017 exam. Click on the link for "PU CET Results 2017". Check the Result for your steam. The PU CET merit list will be displayed. Will the PU CET results be sent to us by post? No, the candidates can download the admit card from the official website. It will not be sent to the candidates. My Board marks rounds upto 67%. Is it considered for PU CET 2017? If you are from General category then 50% of marks will be considered and for OBC/SC/ST 45% of board marks are considered. What are the guidelines for merit list candidates for PU CET 2017? The criteria for marks of the written exam is 75% and the 12th board scores is 25%. What are the criteria for reservation of PU CET 2017? The reservation scheme for the courses will vary based on the programme. The detailed reservation criteria have been given below. 1 seat is reserved for any students suffering from Cancer/AIDS/ Thalassemia. When is the date for the results of PUCET 2017? Result Date for PUCET 2017 is on: 8th June 2017. The PU CET exam Results will be declared by the second week of June. Can I give my answer sheet for revaluation? Yes, revaluation of the answer sheet is possible. The candidate has to send a demand draft to the office. This process must be done within 10 days of the results being published.